If you are in the market for your very first car, you might not be fully aware of the many pitfalls, decision points and choices that lay ahead. This article walks you through some of the necessary steps in the process and closes with some advice on choosing the best car for your needs. The first and most important thing to do is probably the most boring part of the process – figure out how much car you can really afford. This means taking a look at your budget and deciding how much money is available for car. Realize the the full cost of owning even an entry-level car can top $500 a month. Keep in mind that car ownership also means paying for insurance, maintenance, parking, and gas. 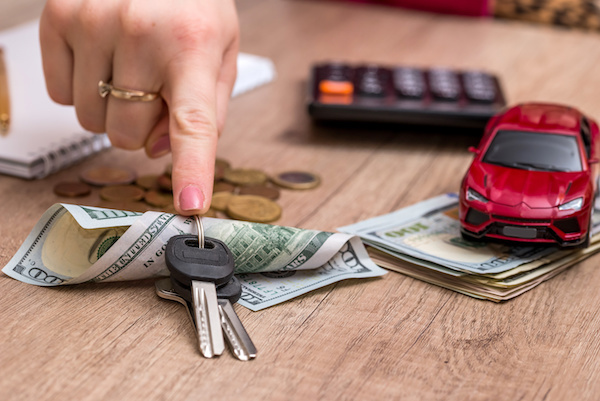 That seems obvious, but buyers on a tight budget can easily find themselves in trouble when the insurance, gas, and parking fees end up costing as much as the monthly payment. Decide how much car you need, and want. These are two different things. The car you need is one that easily fits your budget and offers enough space. The car you want has features, a look, and performance capabilities that are fun and cool but not necessary. Consider all of the likely appearance, technology, and comfort options and decide what you need? The power moon roof and Satellite radio might be neat, but you have to weigh the extra cost against the use you would get out of them. Unless you are exceptionally industrious or well off, you will need to finance some of the purchase price. Do not make the mistake of taking whatever financing the dealership offers without shopping around. The Internet makes it very easy to find auto finance options, so you can line up a good financing deal before you go car shopping. Some manufacturers offer special financing deals for first time buyers, who often have blemished credit or a minimal credit history. In early 2016 Toyota and Chrysler had such programs, and they or other dealers may have special programs available when you go shopping. Opinions across the Internet vary as to the best choices for a first time buyer. In part the various opinions depend on how much emphasis the raters place on factors like safety, fun, convenience, and fuel economy. Low price is a given, because most first time buyers are shopping at the low end of the price range. Why are those cars the top five? Their combination of good safety features, modest price, and features. Do a search for reviews of any of those 2016 models and you will see why they tend to show up repeatedly on lists of the best cars for young buyers, teen buyers, and first-time buyers. All of the models have a base price of under $25,000, under $20,000 for the Sonic, Fit and Fiesta. They all score a 4 or 5 out of five on numerous measures of crash safety. All of the cars’ base models offer standard features like HD radios and power windows that make them pleasant to drive. Buying your first new car can seem daunting. The Web can sometimes hurt more than it helps unless you begin your search with the the preceding tips and suggestions in mind. Be realistic about how much car you can afford and what you need. Do your own search for financing, rather than just accepting the dealer’s offer. The five top picks will serve most any first-time buyer well.